Everyone's always gushing about chocolate, chocolate, chocolate for Valentine's Day while I'm over here like, "Um, vanilla please!" It's true that chocolate has become synonymous with theholiday, perhaps because of its aphrodisiac qualities, but vanilla is not to be overlooked. Its alluring scent is thought to stimulate and arouse. Besides, is there any dessert more seductive than a classic vanilla créme brûlée? Not for me. Créme brûlée is known for its contrasting textures: a shatteringly crisp layer of caramelized sugar atop an impossibly creamy and irresistible vanilla custard. Thankfully, it's also astonishingly easy to make. The single most important factor is the quality of the ingredients. The better the ingredients, the better the dessert. Eggs, sugar, cream, vanilla - that's it. It's that simple. The best part is that the custard can be made up to two days in advance so all you have to do on Valentine's Day is brûlée the sugar (aka caramelize or "torch" it) before serving and write your love story. Set the oven at 250 degrees. Bring a kettle or pot of water to a boil. Set aside. In a medium bowl, stir the egg yolks and 1/2 cup sugar until combined. In a heavy-bottomed saucepan, heat the cream over medium heat almost to a simmer. 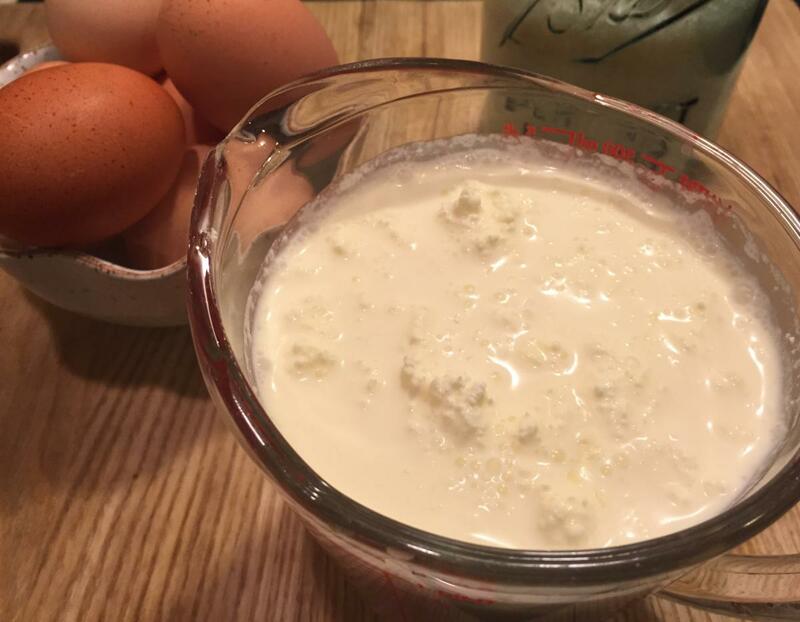 Temper the eggs with the cream by using a ladle to add a small amount of cream into the egg mixture and whisking vigorously to combine. Repeat this step two more times. Gradually stir in the remainder of the cream and whisk until sugar has dissolved. Pour into custard cups or ramekins and place in shallow pan or casserole dish. Carefully add enough hot water to the pan so that it comes at least half way up the sides of the ramekins. Bake 1 hour and 20 minutes or until the custards are set, but still slightly quivery in the center. Remove from the water bath and allow to cool. Cover with plastic wrap, placing directly on the surface of each créme brûlée to prevent a skin from forming. Refrigerate for at least 4 hours. Shortly before serving, sprinkle each ramekin with an even layer of sugar and brûlée with a kitchen torch until the sugar is evenly caramelized. Moving your hand in a circular motion, hold the torch 1-2 inches above the surface of the custard and melt the sugar until it turns amber and forms a smooth crust.